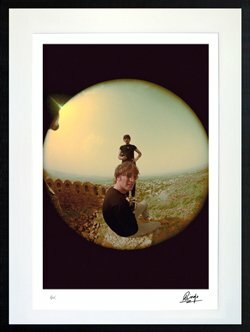 We’re excited to reveal Ringo Starr’s PHOTOGRAPH Portfolio 2015, featuring eight new portraits of his Beatles bandmates. Only 25 numbered prints will be created of each artwork, all signed by the photographer, Ringo Starr. As a valued Genesis subscriber, preview the collection today and pre-order before public launch announcements in September. For more information and to secure your numbered copy today,click here.